Provide comfort for the family of Avis Theriot with a meaningful gesture of sympathy. Avis Marie Theriot, 88, a resident of Lake Charles passed from this life on April 10, 2019 in a local care facility. Avis was a loving mother, grandmother, sister, and friend. She had a very sweet disposition and was loved by everyone who met her. She loved sewing, crocheting, and gardening in her younger years. Mrs. Theriot is predeceased by her parents, Randall Richard and Lovie Bridges Worthington; husband, Russell J. Theriot; daughter, Cynthia Marie Theriot Firmin; and sister, Connie Nunn. Mrs. Avis leaves to cherish her memory her granddaughter, Sherrie Morris and husband Kevin; sister, Wannie Ann Kebodeaux and husband Edward, great granddaughter, Kenzie Jolie Morris; nieces, Karen Kebodeaux and partner Bridget Daigle and Stacy Nunn Hall and husband Joe and their children Hayden and Hannah; nephews, Brian Nunn and wife Dawn and their daughters Zoe and Zara, and son in law, Carl Firmin. The family will receive friends from 9:00 AM until 10:30 AM on Tuesday, April 16, 2019in the chapel of Lakeside Funeral Home. A memorial service will be held at Tuesday, April 16, 2019 at 10:30 AM. The family would like to thank the staff of Resthaven Nursing Center and Brighton Bridge Hospice for their kindness, compassion and attention to Mrs. Theriot while in their care. 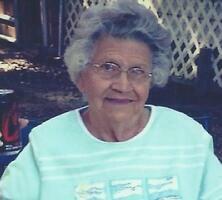 Provide comfort for the family of Avis Marie Theriot (Worthington) by sending flowers.